Homes priced between $100-250K showed a modest increase at 3.4%. This not only points to the lower inventory of homes available for sale in this price range but also speaks to the overall strength of the housing market. 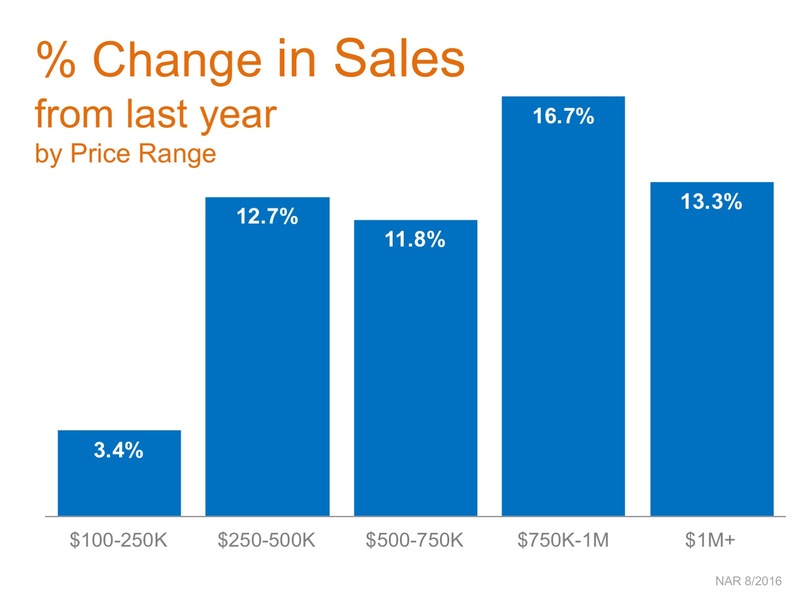 Sales of homes over $250,000 increased by double digit percentages with sales in the $750,000- $1 million range showing the largest increase, up 16.7%! Previous PostReal Estate Values Today Compared to Pre-2008 PeakNext PostBuying Remains 36% Cheaper Than Renting!